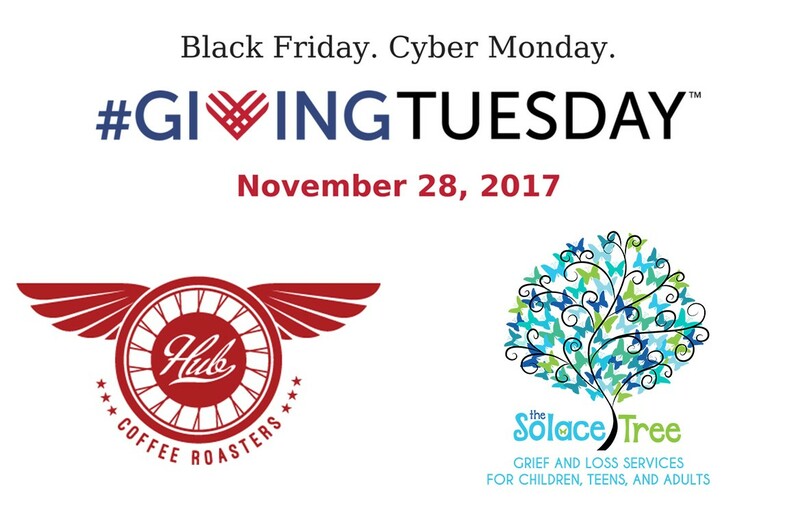 Hub Coffee Roasters are partnering with the Good Grief Project for the Solace Tree on Giving Tuesday and we could not be more excited! On Tuesday, November 28th, 2017, you can visit any of the Hub locations, buy your usual delicious drink and then make a donation towards the Good Grief Project. For every dollar you donate, Hub will match it! Locations and hours are listed on their website at www.hubcoffeeroasters.com and more information on the Good Grief Project can be found at www.solacetree.org. Support the K-12 students in Northern Nevada by visiting Hub on #GivingTuesday and make a difference in the life of a grieving child.